Buster Hernandez is accused of threatening young girls across the country, forcing them to take sexually explicit photos and even badgering them to commit suicide. It’s a case with hundreds of victims across the country, including here in Michigan. One of those victims and her mom spoke exclusively with 7 Investigator Heather Catallo. Hernandez is known as the man behind the "brian kil" threats. 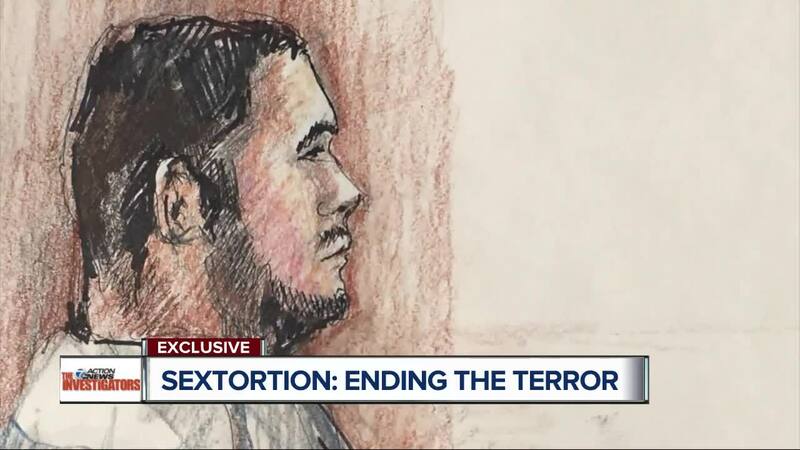 The feds say the 28-year-old would reach out to underage girls on social media to say he had compromising pictures of them. That turned into years extortion and terror for these teens. BROWNSTOWN TOWNSHIP, MIch. (WXYZ) — Buster Hernandez is accused of threatening young girls across the country, forcing them to take sexually explicit photos and even badgering them to commit suicide. It’s a case with hundreds of victims across the country, including here in Michigan. One of those victims and her mom spoke exclusively with 7 Investigator Heather Catallo. Hernandez is known as the man behind the "brian kil" threats. The feds say the 28-year-old would reach out to underage girls on social media to say he had compromising pictures of them. That turned into years extortion and terror for these teens. At one point, his alleged violent threats shut down schools in Indiana, and his terrorizing did not end there. “It was really frightening. Every time I would see a text or feel my phone vibrate, I would be scared to pick up my phone,” said a teenager from Brownstown Township who asked that we withhold her identity. We are also not revealing her mother’s identity because of the harassment they say their family endured from Hernandez back in 2017. Sources close to the investigation tell the 7 Investigators there may be additional victims in Michigan. If you know anything about this, please contact the 7 Investigators at hcatallo@wxyz.com or call 248-827-4473. You can also submit tips to the FBI at tips.fbi.gov or call 317-595-4000.